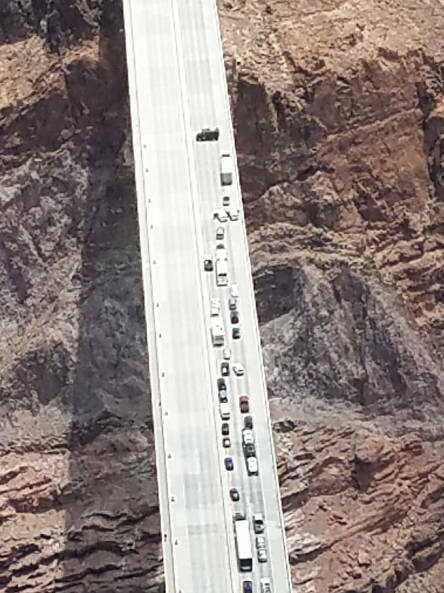 @MarkAMills1/Twitter A man in a vehicle reportedly with a gun is on the Mike O'Callaghan-Pat Tillman Memorial Bridge near Hoover Dam south of Las Vegas on Friday, June 15, 2018. Arizona Department of Public Safety Matthew Wright of Henderson blocks the southbound lanes on the Mike O’Callaghan-Pat Tillman Bridge near the Hoover Dam on Friday. Mohave County Jail Matthew P. Wright, 30, of Henderson, was arrested Friday after a 90-minute standoff on the Hoover Dam Bypass Bridge. A hearing in the case against a Boulder City resident who was charged by the city for interfering in a police-sanctioned crosswalk enforcement event has been set for August. Judge Margaret Whittaker, former Justice of the Peace in Pahrump, set the hearing and decision for vindictive prosecution for 10 a.m. Aug. 14 in the Boulder City Municipal Court for the case involving John Hunt, who was arrested on several charges, including obstructing traffic and resisting arrest, by Boulder City Police Sgt. John Glenn on June 8, 2016, during a pedestrian-safety enforcement event. Hunt’s trial concluded at the end of May, but Whittaker has yet to issue a ruling. She is handling the case as Boulder City Municipal Court Judge Victor Miller recused himself because he said his impartiality was questioned in district court. Search and rescue crews have recovered the body of a 44-year-old man from San Jose, California, who went missing Sunday at Pot Cove on Lake Mohave within Lake Mead National Recreation Area. The man was reported missing at 11:13 a.m. after he was seen going underwater and did not resurface. The National Park Service and Bullhead City Police Department searched the area with divers and aerial support until nightfall. Crews returned Monday, June 18, with side scan sonar and divers and located the man underwater around 9 a.m. The Mohave County Medical Examiner will identify the victim and determine cause of death. 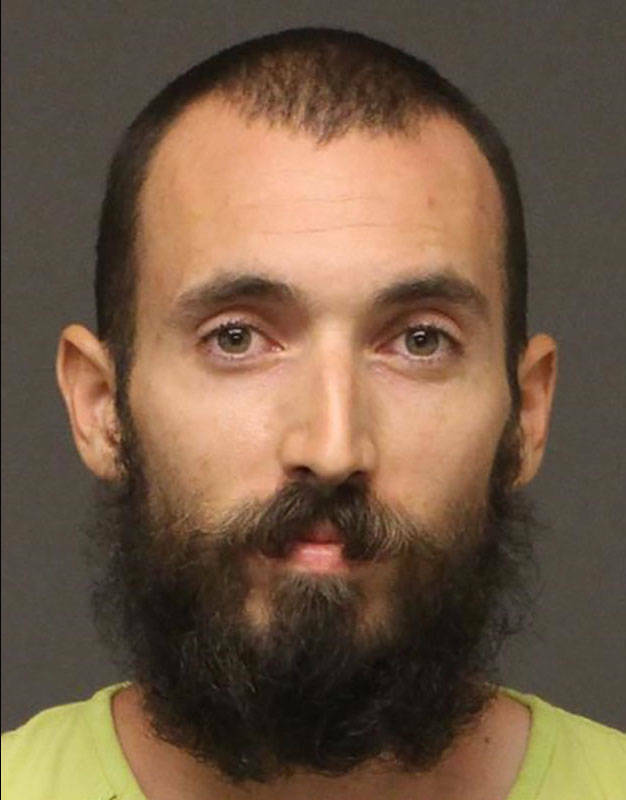 Henderson resident Matthew P. Wright, 30, was arrested Friday, June 15, in connection with a 90-minute standoff near the Hoover Dam. The meaning behind the message and the motive remained unclear Saturday. When he surrendered, officials said, a rifle and a handgun were found inside the truck. It wasn’t clear whether the weapons were loaded. As of Wednesday, Wright remained in custody at the Mohave County Jail in Kingman, Arizona, with bail set at $25,000 per charge. He was jailed on charges of obstruction of a highway; endangerment; unlawful flight from law enforcement; misconduct involving a weapon; weapons trafficking, and terrorist acts, according to the Arizona Department of Public Safety. His family has denied multiple requests for comment. 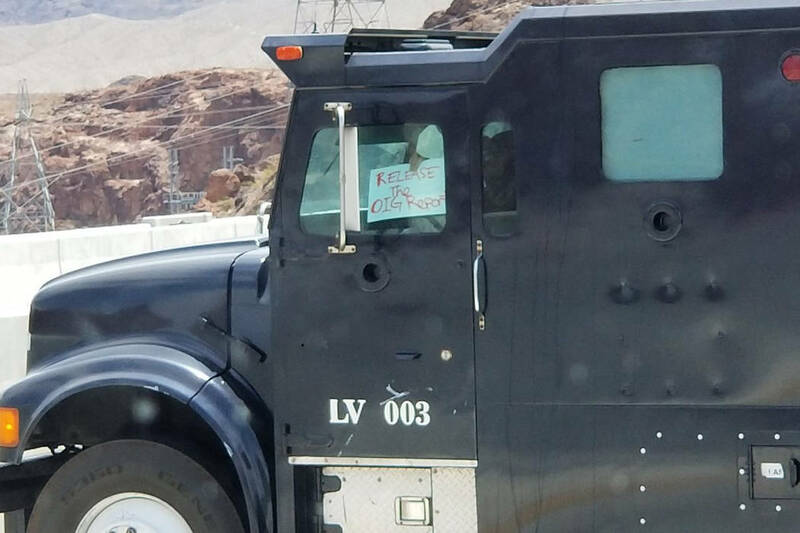 The Nevada Highway Patrol, Las Vegas and Boulder City police, National Park Service rangers from the Lake Mead National Recreation Area and Arizona Department of Public Safety responded to the scene, quickly shutting down U.S. Highway 93 and evacuating motorists from the bridge. Tourists on the dam walkway were instructed to shelter in place.